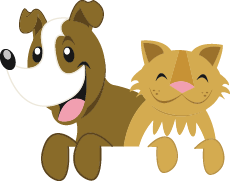 Our mission is to provide quality veterinary care with convenience and compassion for our patients and their owners. This is accomplished by scheduling appointments over a wide variety of times. We attempt to allow adequate time when scheduling for routine procedures and make every effort to prevent excessive waiting. Please call in advance to schedule your appointment. Surgical procedures are scheduled in advance Monday thru Friday, with specific times set aside for hospital admission. If you are interested in touring our facility please see a receptionist at the front desk . Call ahead if you wish to make arrangements for a group tour.